Don’t do what feels good. Don’t do what everyone else is doing. Don’t do what everyone else wants you to do. Don’t ignore your problems and do nothing. Don’t give up at the first sign of trouble. Don’t do what you did yesterday, and the day before that, and the day before that. 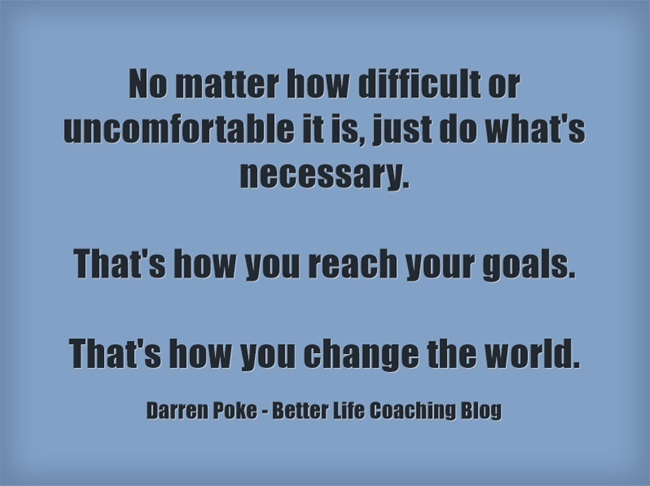 No matter how difficult or uncomfortable it is, just do what’s necessary. That’s how you reach your goals. That’s how you change the world. Next post – What Matters More, Your Intentions Or Your Actions? Sir very nice article….Thanks a lot.